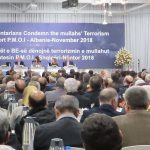 In November, Czech MEP Jaromír Štětina, Vice-Chair of Subcommittee on Security and Defence in the European Parliament, visited Ashraf 3, the MEK camp in Tirana, Albania. He was accompanied by Estonian MEP Tunne Kelam, and former Scottish MEP Struan Stevenson. Štětina wrote about his experience visiting the camp in a recent article in euroactiv.com. Štětina, like many who have visited Ashraf 3 before him, was struck by how quickly the residents of the camp have built a functioning city from the ground up. In his article, Štětina described the numerous facilities that have been built in less than a year. Ashraf 3, which is named after the camps in Iraq that the MEK were forced to leave, has functioning water purification facilities, a medical and dental center, pharmacies, bakeries, a sports complex, a library, meeting halls, and learning centers. The entire project has been financed by donations and loans from supporters of the MEK. No government has financed any part of Ashraf 3. Štětina also wrote about the resilience of the Ashrafis, who were displaced several times and were the victim of multiple attacks by pro-Iran militias during the years they lived in Iraq. Before arriving in Tirana, camp residents had their belongings confiscated. Štětina wrote that he had worked as a war correspondent for a number of years and had often seen displaced people in difficult situations. He was struck by the high spirits and morale of the 3,000 Ashrafis and their commitment to the cause of freedom for the Iranian people. The Iranian regime, according to Štětina, was angry that the MEK camp was safely relocated to Albania. As the primary opposition to the regime, the MEK poses an existential threat to the mullahs, especially in light of the ongoing uprisings taking place across the country. The regime has been unable to suppress the protests and strikes taking place throughout Iran for almost a year, so it has launched a new smear campaign against the MEK in an attempt to prevent the opposition from gaining more support while simultaneously setting the stage for new terrorist plots against the MEK in Europe. 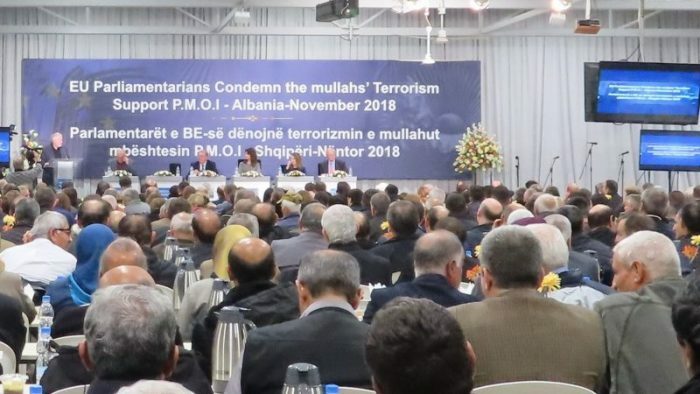 The regime’s demonization campaign, according to Štětina, includes media reports claiming that the MEK camp is a “cult-like” environment where members are cut off from the world and are forbidden by leaders from leaving the camp. Štětina vehemently asserted that these were false claims. He wrote that in his short visit he met hundreds of camp residents who all expressed their commitment to a free Iran. Residents left the camp freely for shopping, recreation, appointments, or other purposes. Štětina expressed his admiration for the women of Ashraf 3. During his visit to the camp, Štětina wrote that the women spoke of their sacrifices and commitment to fight against the oppressive regime no matter the price. Over the course of the past year, Iran has been the scene of widespread protests and strikes. The workers of the Haft Tappeh sugar factory and the Ahvaz Steel factory in Khuzestan Province have been on strike for several weeks in protest of months of unpaid wages. Iranian truck drivers, teachers, farmers, and merchants have all participated in multiple nationwide strikes this year. A number of other sectors have protested or been on strike as well. The regime blames the MEK and Ashraf residents for organizing the protests, according to Štětina. Štětina wrote that the regime has gone to great lengths to eliminate the MEK as a threat, even resorting to terror attacks. An attempted car bombing at a Nowruz celebration in Tirana was foiled by Albanian police in March. In June, an Iranian diplomat was arrested in Germany for masterminding a plot to bomb an Iranian Opposition gathering outside of Paris. Last month, according to Štětina, Denmark recalled its Ambassador to Iran after an assassination plot targeting Iranian MEK members in Copenhagen was foiled. Štětina ended his article by pointing out that E.U. High Representative Federica Mogherini has remained silent about the Iranian regime’s terrorist plots on European soil. Štětina went on to state that he and many of his colleagues believe that the High Representative should place a higher priority on expelling Iranian regime diplomats from the E.U.